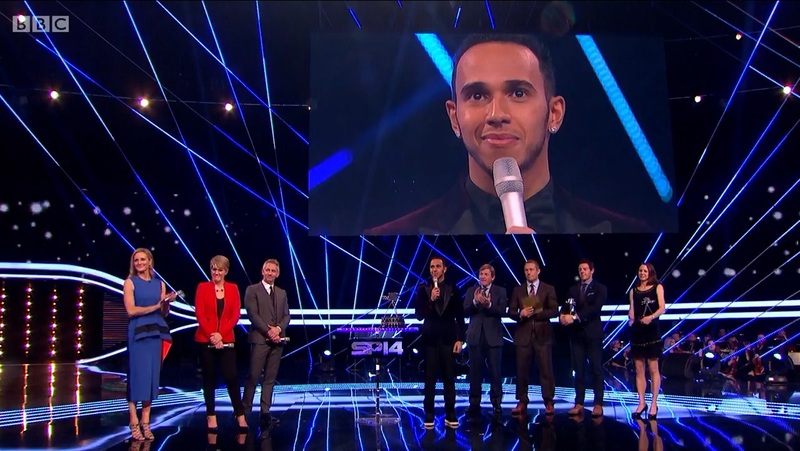 Lewis Hamilton has been voted the BBC Sports Personality of the Year 2014. This year’s BBC1 show was presented by Gary Lineker, Gabby Logan and Clare Balding live from the SSE Hydro Arena in Glasgow. TV Production Designer, Rudi Thackray, included multiple LED displays supplied and installed by Anna Valley. The central flown 4mm LED screen was surrounded by a super wide curved screen in F30 LED, with SP14 logo screens in new Hybrid 18mm. The most challenging installation involved fixing hundreds of meters of LED Flex and Video flex onto the myriad of sinew wires, creating a very original and effective result across the expansive SP14 stage. The Lighting direction for the show was by Gurdip Mahal and his team.